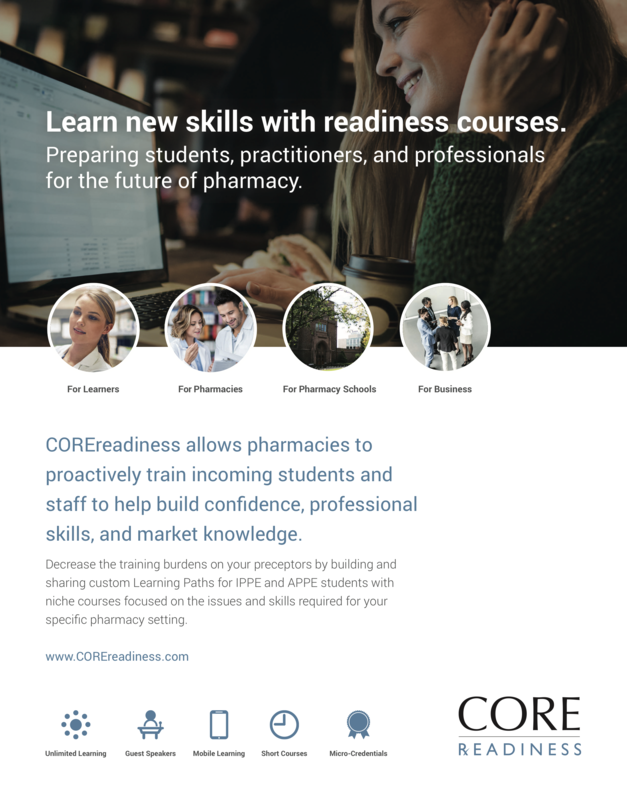 Developed from employer feedback and accreditation needs, COREreadiness closes curricular gaps while enhancing your program to prepare pharmacy technicians for their externships and the professional workplace. 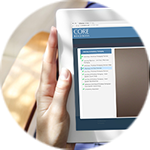 Schools measure success through micro-credential monitoring and our reporting suite. 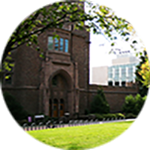 Enhance your program content with courses mapped to specific PTCB Knowledge Domains. 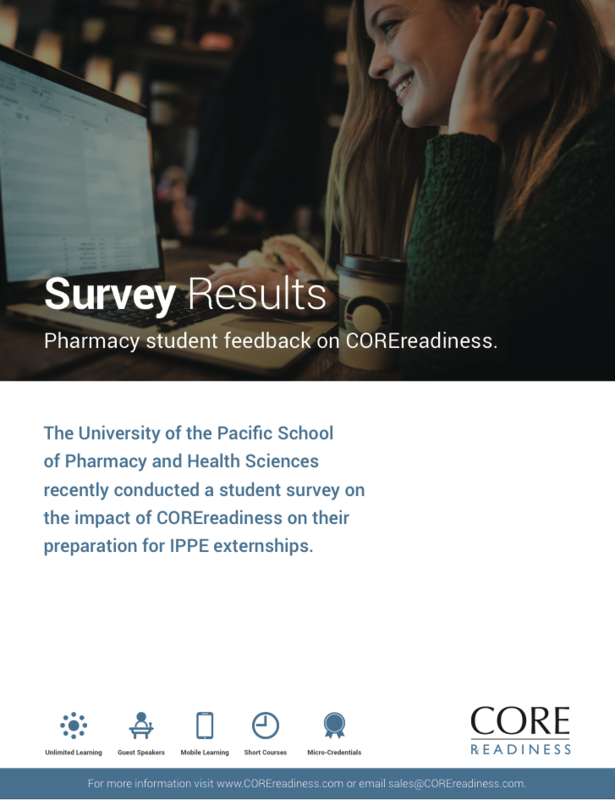 Prepare students for job interviews with professionalism courses, interview prep, practice setting overviews, and advice direct from experienced pharmacy recruiters. Provide your students with the same content used by many colleges of pharmacy. Map courses to PTCB Knowledge Domains and other critical subject domains. 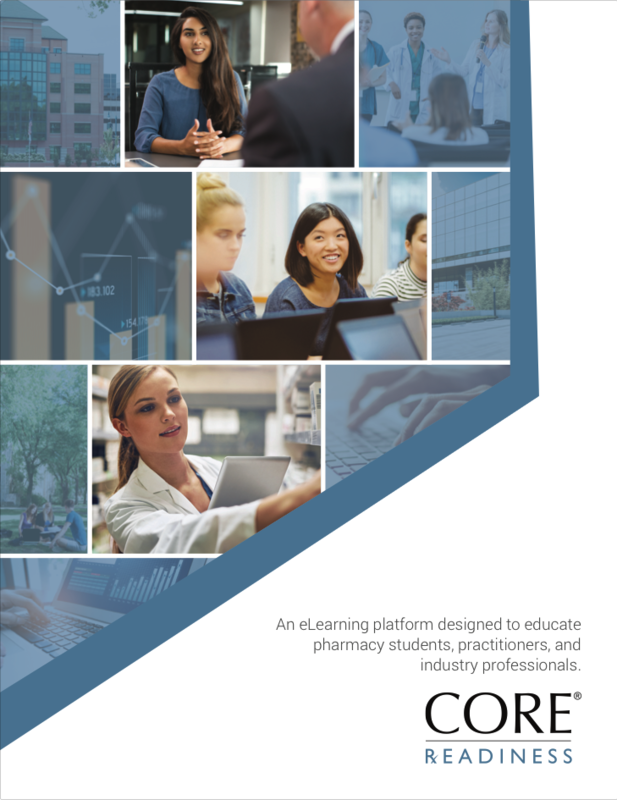 Prepare students for their internships and jobs by strengthening their soft skills, workplace confidence, and pharmacy operations knowledge. 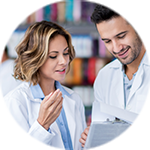 Provide additional opportunities for your students to learn directly from pharmacy market leaders. 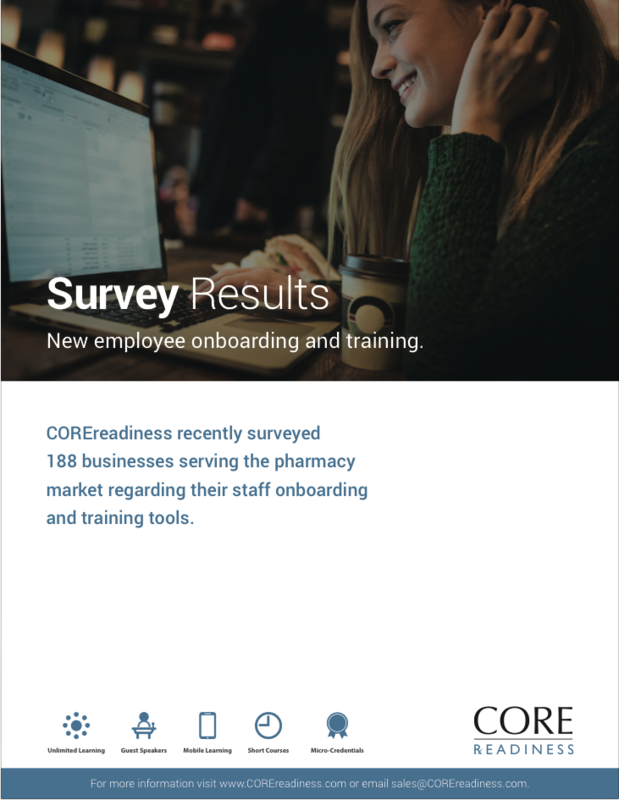 Provide students with 360 degree video experiences within the various practice settings prior to externship and job placement. Run reports on student course completion, assessment scores, and subject matter. Guide your students' learning by creating custom Learning Paths. 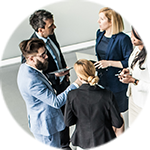 Reduce the student training burden on externship preceptors and supervisors. 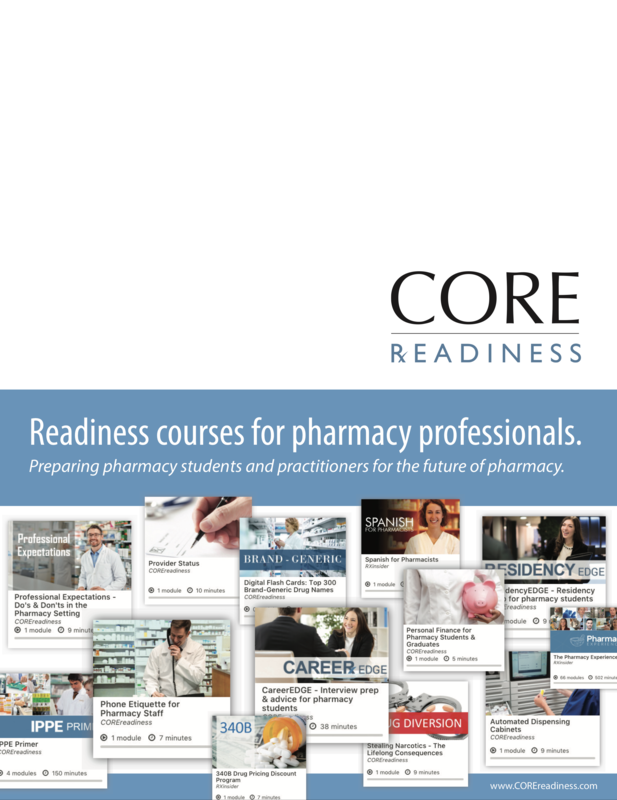 Readiness courses helping students, professionals, and practitioners prepare for the future of pharmacy. Learn the skills you need to be successful, on your time. 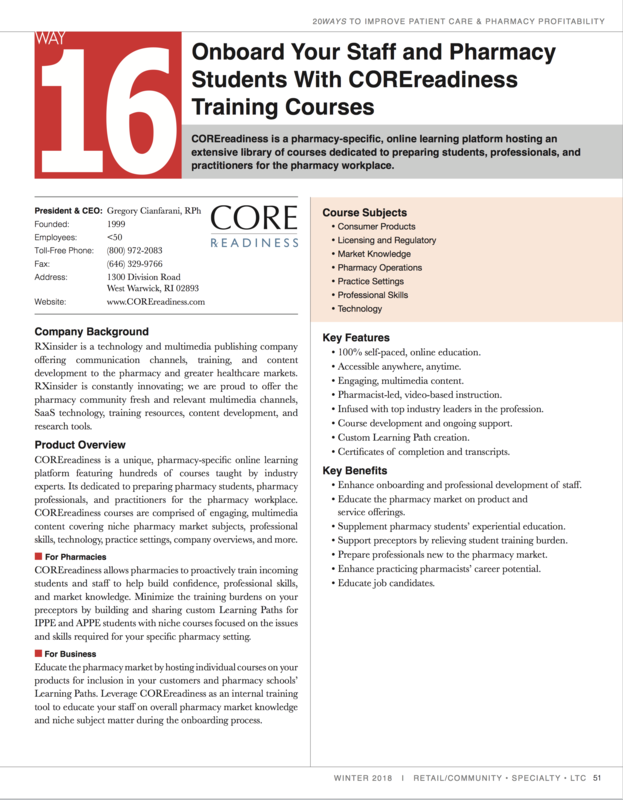 Enhance your program while strengthening your student-pharmacists skills. Proactively train student interns and staff by building custom Learning Paths. 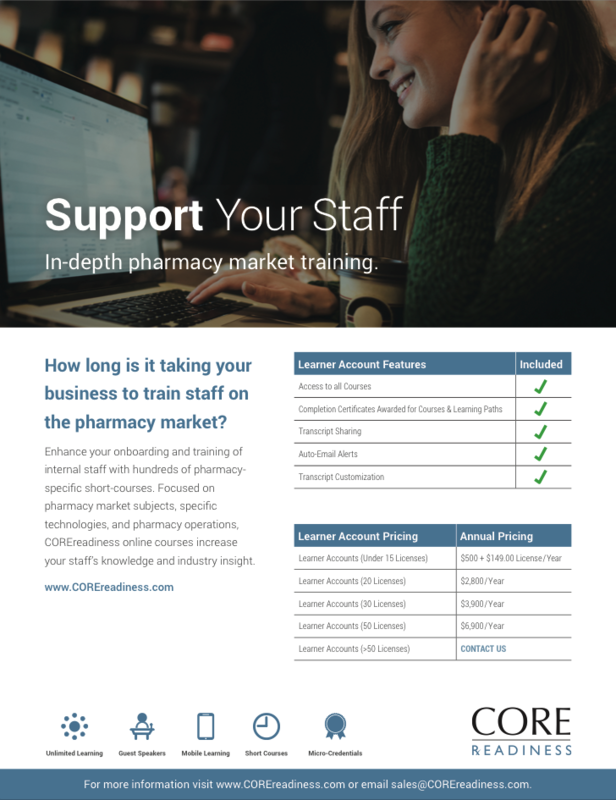 Educate the pharmacy market on your solutions and train your staff.